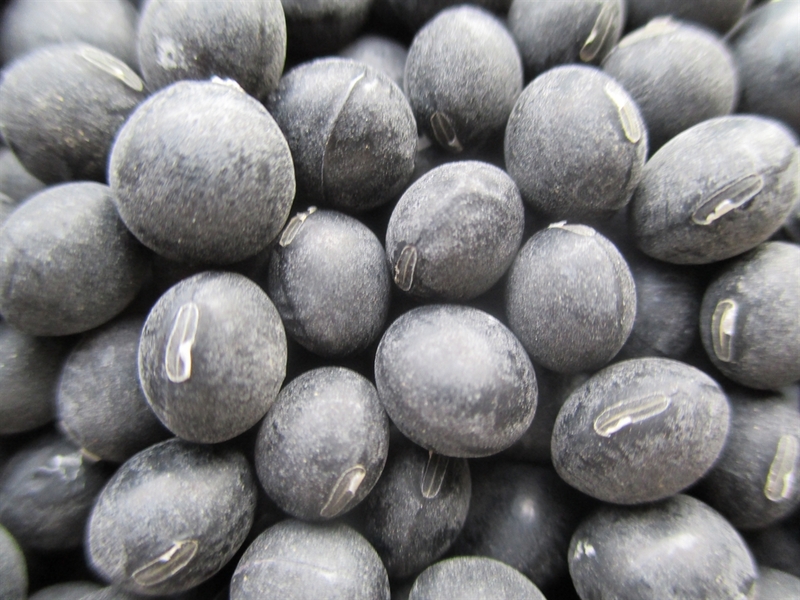 Black soybeans are nearly identical in nutrition to yellow soybeans, with 35-40% protein. They are easier to digest and considered to be much tastier. They have a richer, sweeter flavor than the yellow soybean. 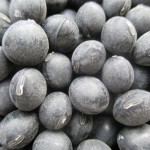 Black jet is an easy to grow black soybean and widely adapted to growing in the North. Typically grown as a dry bean. Suitable for soy products like soy milk and tofu. Direct seed after all danger of frost has passed in mid to late May. Plant 1″ deep and 2″-6″ apart. 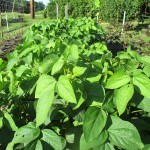 The plants will grow to around 2 foot tall. Keep in mind that deer will devour the tender tops. I nearly lost last year’s crop, but with a quick, make-shift fence, I was able to keep the deer out and the damaged plants regrew. 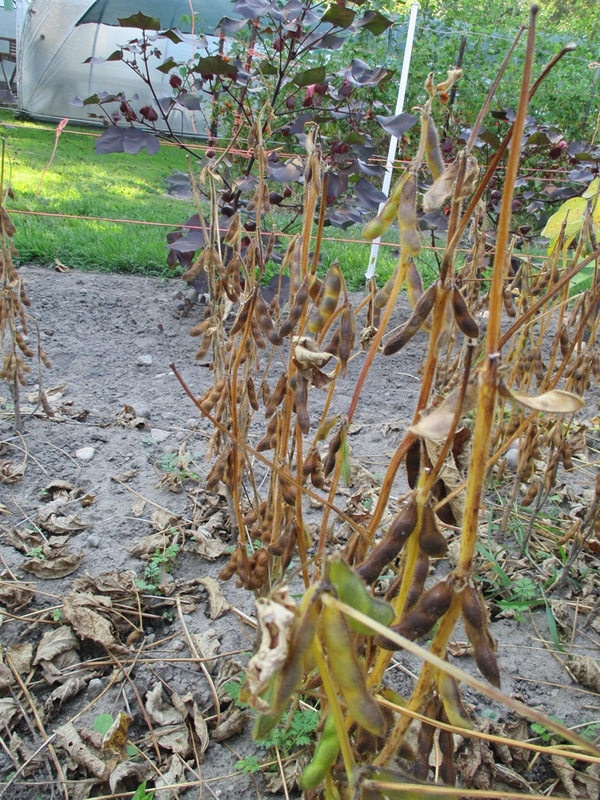 Harvest in late August to mid September. Cut the plants when the leaves yellow and drop. 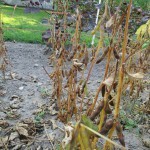 The pods will be yellowish-brown and fairly dry. I leave the roots in the ground to decompose, as soybeans are nitrogen-fixing and store nitrogen taken from the air in nodules on their roots. Next, bring the plants into a shed to dry on benches for 2 more weeks before threshing. Threshing is easy using the “pillowcase dance” method. Place 4-5 plants into a pillowcase and proceed to step on it, crushing the pods inside. 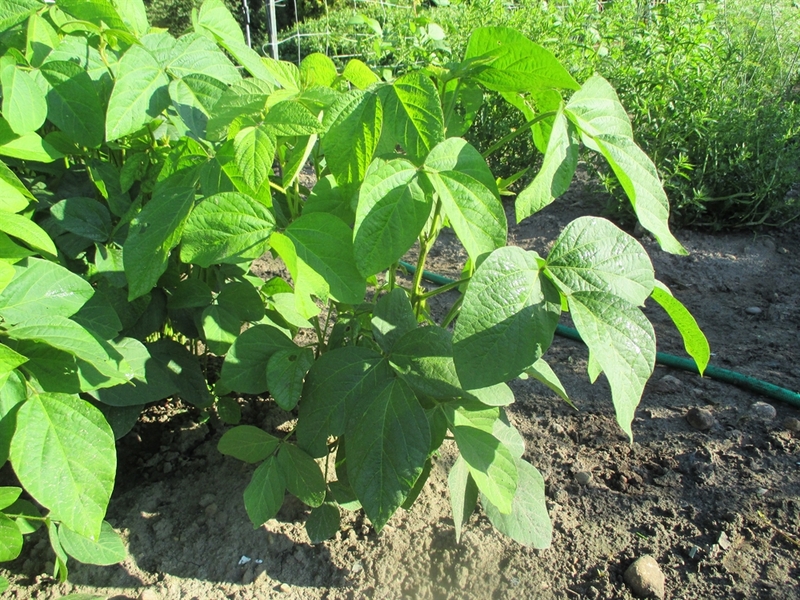 The beans will easily come free from the pods and are then winnowed in front of a fan to remove pods and debris. Black Jet has a very thin skin and I would advise against flailing the pillowcase as this can cause the beans to loose their skins or crack. Since soybeans have a high oil content I bring the threshed beans inside to further dry for a few weeks before storage. 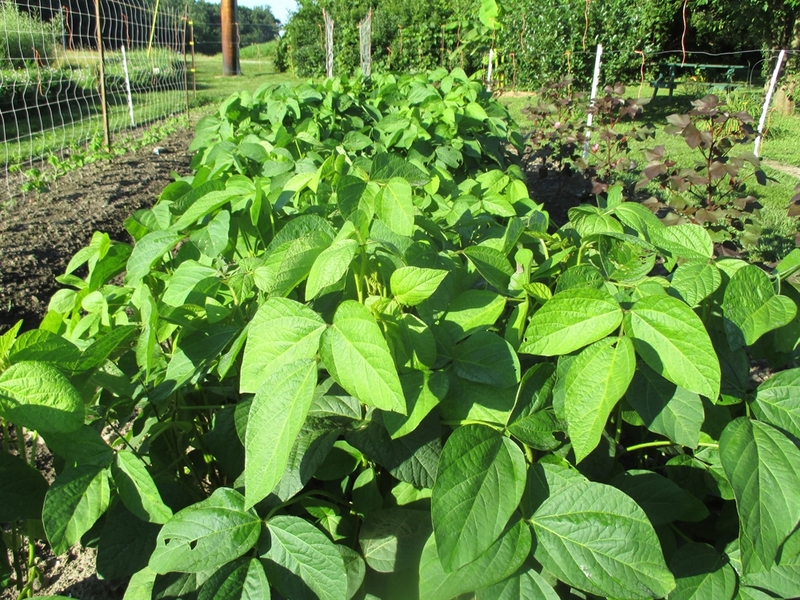 Black jet is an early maturing soybean and very productive. I am trying to purchase several items on your lovely site, but I am not having much luck. 1) When I click on “Order Here” it moves me down to “shipping rate” on the same page. 2) When I click on “Shopping Cart”, I go to a page that tells me how to buy if I am locale. 3) The Sku # does not have a link so should I just email you what I would like to purchase and then you can invoice me via PayPal? 4) Should I just email you what I would like to purchase and then you can invoice me via PayPal??? not on each product page. Hope this helps.